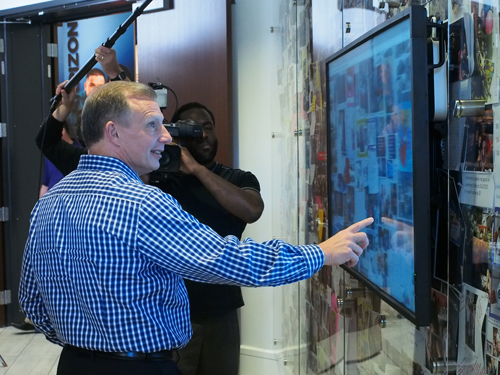 CEO Glenn Williams asked Primerica representatives to bring their Why – a physical representation of their reason for doing the Unreasonable – to the 2015 Convention in Atlanta to post on The Primerica Wall. Representatives answered the call and covered an area spanning more than 300 feet with their Whys! 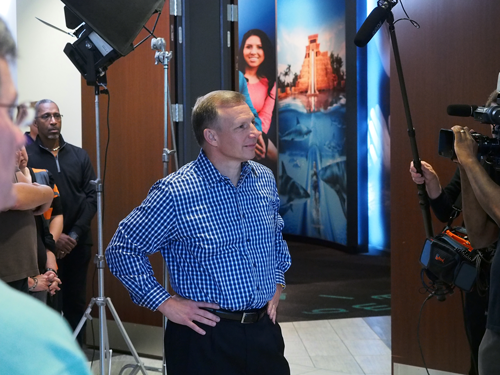 It was a powerful depiction of the fuel that drives our representatives, so we brought The Wall to Primerica’s International Headquarters. 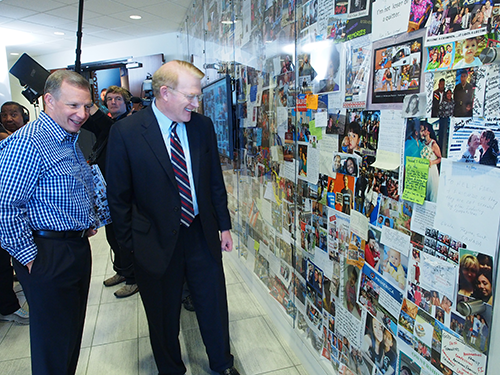 This new display debuted in a ceremony with Williams and President Peter Schneider and features an incredible sampling of just some of the inspirational images and declarations posted on The Wall. At the ceremony, Schneider presented Williams with a book of photographs of the Wall – a testament to the power of an idea. When The Wall was set up at Convention, no one was sure what would happen. In the end, it took on a life of its own. 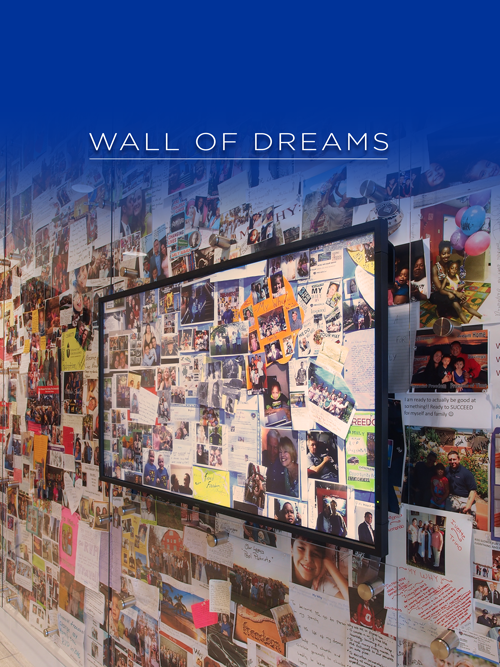 The Wall became the centerpiece of the 2015 Convention, transformed the entire event and sparked remarkable momentum within the company. Primerica is helping people realize their dreams and giving them the place and opportunity to make them possible! 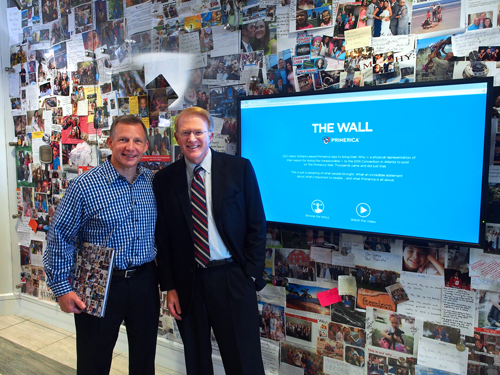 Stop by the International Headquarters to take a look at The Wall – and use the interactive screen to browse the entire Wall and find your Why! This entry was posted on Monday, November 9th, 2015 at 11:59 am	and is filed under Company, Primerica, Representatives. You can follow any responses to this entry through the RSS 2.0 feed. You can leave a response, or trackback from your own site. Primerica is a dream that continues to come to reality. When you say: I have Primerica, it is like saying, “I have a dream” – that one day i will be a million year.